Writing press releases can get you much of the publicity you need to sell your book. Many people will write a one size fits all release and send it to every media outlet they can think of. You can do that, too, or you can be smarter. First, decide what you want the press release to accomplish. Why would the publication print your release or grant you an interview? Why would the subscribers of each medium choose your book? For example, if you were selling Menus for a Month like my friend, Lee, you could write one press release targeting young parents and another targeting people considering a change to a vegetarian lifestyle. Or you could write one press release for print media like newspapers and magazines, one for radio, and one for TV. The print press release can be used "as is." The press releases for radio and TV are teasers to get you an interview. When you are sure you know what you want to accomplish, you are ready to write your press release. 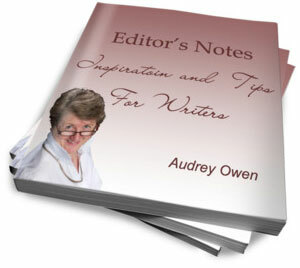 Capture the editor's or producer's attention and give a clear idea of what is to follow. If you have to choose between catchy or clear, go for clear. But take your time and you can probably do both. If your press release makes a connection to what is on people's minds and leads them to realize your book is the solution to their problem, it has a better chance of being published and of selling your book. Newspapers front-end load their pieces. Show you are a pro by doing the same. In particular use active voice and strong verbs to draw readers along. Be wary of adjectives and adverbs. Keep your press release to one page or 250 words maximum. Having your book reviewed is a great boost to sales. You will have to provide a copy, but the advertising will be well worth it. If you send out many releases, you will not send a copy of your book with each one. Target your audience. You can ask, in a cover letter with your press release, if a publication is interested in writing a review and offer to send a copy. If you get a response, there is a better chance they will actually read and review your book than if you send it unsolicited. Remember to send a Self Addressed Stamped Envelope (SASE) to ensure you'll get an answer. If you are sending the release to another country, the postage must be theirs, not yours. Use 8 1/2" x 11" white paper with 1" margins. Use a font like Courier or Times. Double space and give your name and all contact information, including how to reach you in the evening at home. Do you have an address, home and office telephone numbers, a fax number, an email address, and a web site? Include them all. Two lines down type your headline in boldface. Capitalize the first letter of each word except for a, an, the, of, to, and from. Two lines down from the headline, type in your city and the date you are sending the press release. Follow immediately on the same line with the body of your press release. 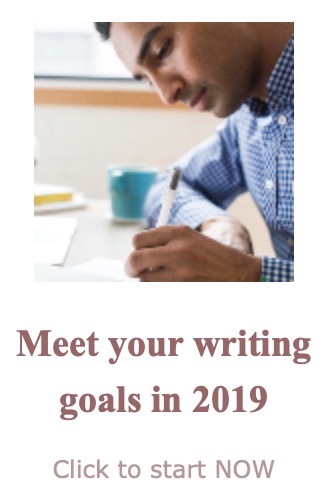 At the end, in point form, recap details of your book's release date or your book signing or whatever you are announcing. Use only one side of the paper, which should not be a problem if you have kept your word count down. The last line is three ###s centered. If you know the name of an editor in charge of a department, use it. Otherwise send the release to the editor, or to the producer if you're targeting radio or TV. Use either email or snail mail. Many newspapers have links on their sites specifically for press releases. Look for them on-line. A press release is only part of your total marketing plan. Here are recommended resources for helping you with that plan. Bulletproof News Releases: Help at Last for the Publicity Deficient has information every small business owner can use, especially on writing press releases. Again, use Amazon.ca to order this great resource. Once your press release is written, be sure to use trusted editing services to be sure it is all it can be. Now that you've writen your book, and you will be writing press releases, promoting your book, and selling it, you can begin to sell your knowledge again on the web. Ken Evoy provides a suite of products for non-techies that makes us look like cyber gurus. His system is a road map for taking personal knowledge and turning it to profit on the web. If you've written a book you have special knowledge you can sell in another venue with only a little extra work. Your book(s) and your web presence can compliment each other. Click here to hear from Ken himself about How to sell knowledge on the Web. Ken preaches a message of OVERdelivery of services. He practices what he preaches. Click here to check out his free trial products.